Right now I'm sitting in the very (very!) nice atrium of Sipgate GmbH in Düsseldorf, and the #Indiewebcamp just started. 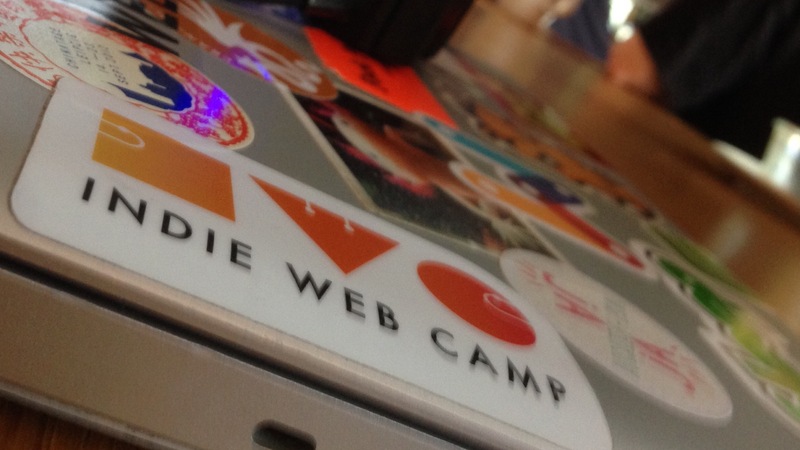 Aaron, Tantek, Jeremy, and other Indiewebcampers are demoing their websites, and -- surprise -- there is a picture of me in good company, having a good time, on Jeremy's site. I'm excited to be here, kicking off the first of this spring's Beyond Tellerrand events. Wow, Steward Langridge, inventor of the pingback mechanism, has enabled webmentions on his blog, as he tweeted just a couple of hours ago. I think this is great signal for the webmention idea, and reminds me to keep on tweaking the webmention/indie web thing here in my blog, where I have the comfort of using a set of WordPress plugins that take care of the more complicated stuff that's going on in the background.